Acharei Mos Kedoshim. These Hebrew words signify two consecutive weekly Torah portions But they are often used to describe how an individual, who was criticized in life, becomes near iconic in death. Read together they translate as ‘After death, holiness! Needless to say, when R’ Elyashiv spoke - the entire Charedi world listened. 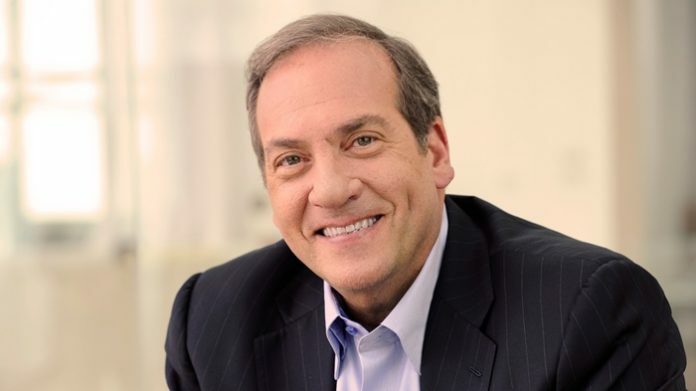 But in what is an almost 100% about face, the Charedi News outlet, Yeshiva World News (YWN) had a fairly flattering obituary of him – even referring to him as ‘Rabbi’ Yechiel Eckstein. Acharei Mos Kedoshim. I have written about my friend Yechiel many times. Most recently in a review of a biography of him by Zev Chefetz entitled The Bridge Builder. The slings and arrows he suffered in his lifetime were undeserved. Instead of the emotional abuse he got from the right, they should have embraced him. And embraced as well the economic relief he offered to help relieve them of the poverty of far too many Charedi Jews. No strings attached. His generosity knew no Hashkafa. But they refused because of misinformation about what he was doing. Something that is now widely emulated and even supported by the very people that sought to condemn Yechiel. He was no missionary. Not even close. What he was – was a pioneer in fostering close relationships with Evangelical Christians. A highly intelligent individual who knew not to be taken for a fool. He understood quite well who he was dealing with and their end-times theology was all about. A theology that many Jews without Yechiel’s intimate knowledge of Evangelicals believed to be the basis of their support for Israel and the Jewish people. “[T]he majority of evangelicals are passionately pro-Israel because it is part of their theology to love and support the Jewish people,” Eckstein wrote in 2002. “I could not accept the conditional love of those who expect a payback on behalf of my people. I could not embark on a relationship that would compromise my personal integrity and ideals or that of the Jewish community I represent. But having been the first — and most often the only — Jew to build bridges with the right-wing Christian community, I have a view and understanding of their pro-Israel fervor that most people ‘on the outside’ lack”. Now that there are mainstream Jews that work with Christians they too understand this. As does - for example - Rabbi Yitzchok Adlerstein whose job at the Simon Weisenthal Center is to work with Christians. He personally attests to this and told me so. No one has criticized Rabbi Adlerstein. Rightly so. That being said, I did disagree with some of Yechiel’s methods, which I believe crossed some lines. But none of them warranted the kind of treatment he got in life. Rabbi Eckstein was one of the most Eherliche people I know. He was a Musmach of Yeshiva University who attended the Shiurim of Rav Solovietchik. He took Mitzvah observance seriously. Never performing them in a rote manner. He was generous to a fault. A trait he used to support the poorest of the poor in Israel. Estimates vary as to how much money he raised through IFCJ from Christian supporters of Israel. An amount ranging from hundreds of millions to $1.3 billion according to some estimates. Either way, it was an unprecedented accomplishment for the welfare of Klal Yisroal that did not cost a single Jew a single dime. Money that Christians donated with a fullness of heart – no strings attached... for Yechiel to use as he saw fit. His infomercials broadcast on Christian TV stations generated most of those funds from willing devout Christians whose only goal was to fulfill the Bible’s promise to bless those who bless the Jewish people. That was it! In the vast majority of cases it was not done with end-times theology in mind. None of it was dedicated to missionizing the Jewish people. Yechiel found Jews that were so impoverished that it was shocking they could exist in a country as advanced as Israel. These Jews are under the radar. No one talks about them. And few if any are doing anything about it. It is almost as though they don’t exist. He found them and fed them. He also found poor and mostly elderly Jews in Russia and other Eastern European countries that could not afford to make Aliyah along with masses of their younger brethren after the fall of the Soviet Union. Yechiel enabled them to make Aliya. He also was directly involved in helping Ethiopean Jews immigrate to Israel. When he was hospitalized last year Yechiel was approached by attorney Gary Apfel - an activist on behalf of Shalom Rubashkin to use his connections to help get him released from prison. He jumped into action and played a major part in getting Rubashkin released. He saw a Jew in prison with an unjust sentence and acted without making any judgments – even though he was hospitalized at the time. And to the best of my knowledge he barely got recognized for it - save for one mention in a Charedi magazine. He tried to help the poor of Bnei Brak only to be rebuffed by their rabbinic leaders. Has anyone reading this used Nefesh B’Nefesh (NbN) to make Alyiah? Yechiel was a co-founder of this organization which encourages Aliyah by providing substantial financial help. In its first year of operation, NbN was entirely funded by IFCJ. But even they dishonored Yechiel by refusing to publicly acknowledge where those funds came from. He had since severed his relationship with them. There are other sorry stories like this in The Bridge Builder – some of which I excerpted in my review of that book. There was so much good in that man. But he was punished for it only because of a misinformed view of what he did by respected right wing rabbinic leadership. That rabbinic leaders can be misinformed by ignorant activists and make mistakes has been amply demonstrated in the cases of R’Nosson Kaminetsky and R’ Nosson (Natan) Slifkin. Yechiel’s death is a huge loss for Klal Yisroel. He did so much and got practically no recognition for it. All he got was grief. But he didn’t care and kept on doing it wherever he could. He died suddenly yesterday at age 67 of a massive heart attack. I will miss him. Baruch Dayan HaEmes.